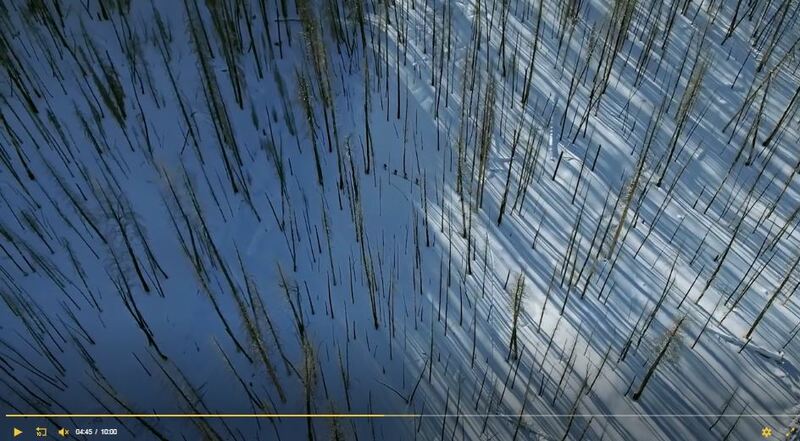 Get a glimpse of what spring break in Sun Valley, Idaho is all about. Sunny corn snow skiing, pond skimming, gelande quaffing and Après ski live music are just a few of the not-to-miss happenings as we close out the winter season. 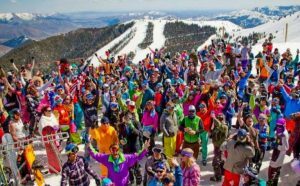 Also, get out to the remodeled Warm Springs Day Lodge for the Baldy Bash with killer spring skiing and riding, a street party with live music by Andy Frasco and Casey Kristofferson, and a barbeque on the patio. Saturday, April 13, 2019 to Sunday, April 14, 2019. Come for the skiing and stay for the party! By March, the ski-mad crowds have thinned out from Idaho’s premier ski resort, but assuming global warming hasn’t completely ruined the season, you’ll still have loads of snow on the mountain. That means ample opportunity for skiing, snowshoeing, snowmobiling, and even cold weather fly fishing. It’s also prime time to spend a night at Idaho’s Dark Sky Reserve, where the best stargazing in the northwest seems especially bright on a cold, clear night. March is also when the Sun Valley Film Festival comes to town, a severely scaled back version of Sundance with all the great films and celebrities but minus the hoards who come just to party. Only about 4,000 people attend the festival, but it still draws names like Clint Eastwood, Geena Davis, and Gwyneth Paltrow every year. Win a trip for two to Sun Valley, Crosson Skis and more in this giveaway valued over $3,000! FREESKIER is teaming up with the crew at Visit Sun Valley to give one lucky winner and a friend of their choosing a three-day, two-night trip to Sun Valley, Idaho, to ski one of the most beautiful resorts in North America! Enter your information below to be considered to win complimentary lift tickets for two days of skiing at Sun Valley, a two-night stay at the brand new Limelight Hotel in downtown Ketchum, a $75 gift card to use at the delicious Sawtooth Brewery and a fresh pair of Crosson Skis of the winner’s choosing. The dates of the winning trip are March 7th through March 9th and all you have to do is get there! Flocked in a frosty coat of white and adorned with shimmering lights, wreaths, and a passionate reverence for time honored tradition and family gathering, few places are as magical during Christmas as Sun Valley. As the streets lined with lights welcome visitors to town and the village teems with festive activities and traditions, the spirit of Christmas is infectious to all who enter. 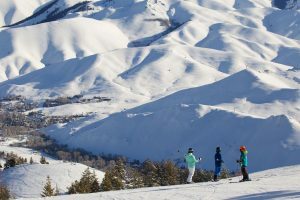 So come to Sun Valley and rekindle your love for the most wonderful time of the year while bonding with your loved ones and enjoying the skiing and ice skating, caroling and worshiping, dining and shopping–even late night bar hopping. 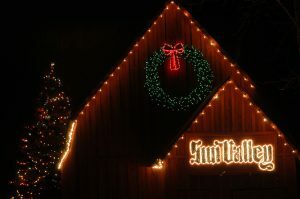 See what Sun Valley has in store for your family this winter! A fundraiser for the Papoose Club–come out and shop the wares of local artists and craftspeople for unique presents for that person who has everything. Join in the start of the Christmas season at Town Square in Ketchum with the lighting of the Town Square, Santa arriving on his traditional fire truck sleigh, and hot cocoa and cider with cookies for everyone! Holiday fun for the whole family! Come join the tradition. Featuring Santa, live holiday music, ice carving demo, free cookies & hot cocoa, and no-host outdoor bar. Festivities begin around 5:30pm with Tree Lighting to follow. The Sun Valley ice shows are a sight to behold any time of the year, but the Nutcracker on Ice is one spectacle that brings a smile and a warm heart to everyone who attends. This is truly a time honored family tradition that lets us all know the Christmas is here, while free admission celebrates the giving of the holiday season. Fireworks and a light show of skiers wielding torches down Dollar Mountain is the last thing children for generations have seen before crawling into bed to wait for Santa to arrive in the night. Free to all! Each year, the Sun Valley Gallery Association hosts seven gallery walks (exhibition openings for all SVGA galleries), which are eagerly anticipated and free to the public. Locals and visitors alike take in thought-provoking exhibitions of newly installed art, enjoy wine, mingle with friends, and often meet the artists. Welcome in 2019 with fellow supporters of the arts at the New Year’s Eve Bubbly Bash, which promises once again to be the valley’s most festive holiday celebration. The annual sold-out event benefits the Sun Valley Center for the Arts and is co-hosted by Sun Valley Resort and The Center’s Junior Patrons Circle. The ‘Sixth Sense’ and ‘Pulp Fiction’ star’s 20-acre lakefront ranch sold after seven years on the market. 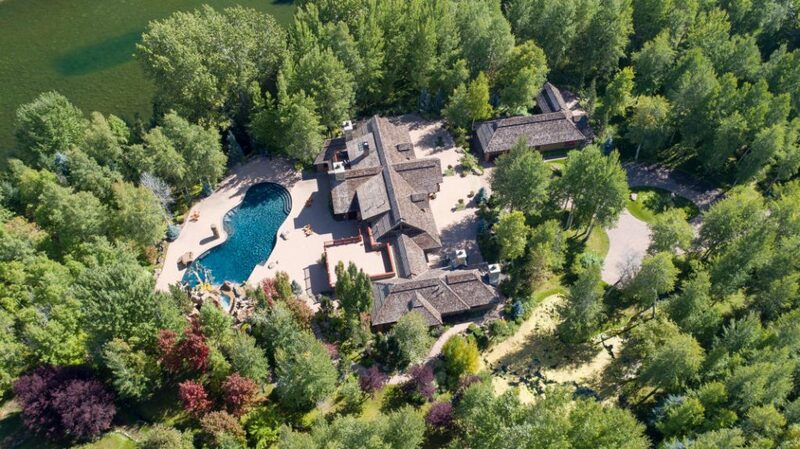 Actor Bruce Willis has officially sold his 20+ acre lakefront ranch property in Hailey, Idaho, just 12 miles south of Sun Valley. In 2011, Willis listed the estate for $15 million with Sotheby’s, then re-listed it in 2016 as a co-listing with Engel & Völkers Sun Valley and Keller Williams for the same price. While the home’s final sale was only a fraction of the original listing price, Willis’ listing represents the single biggest residential sale ever in the Hailey area. Travis Jones was the listing agent with Engel & Völkers Sun Valley. The far-from-modest, 8,400-square-foot home was fully rebuilt by Willis in 2003, and currently features six bedrooms, a guest house, and a gym. Willis also added several streams and ponds to the property, along with an impressively grand heated pool that features waterslides, waterfall features, and a rope swing. 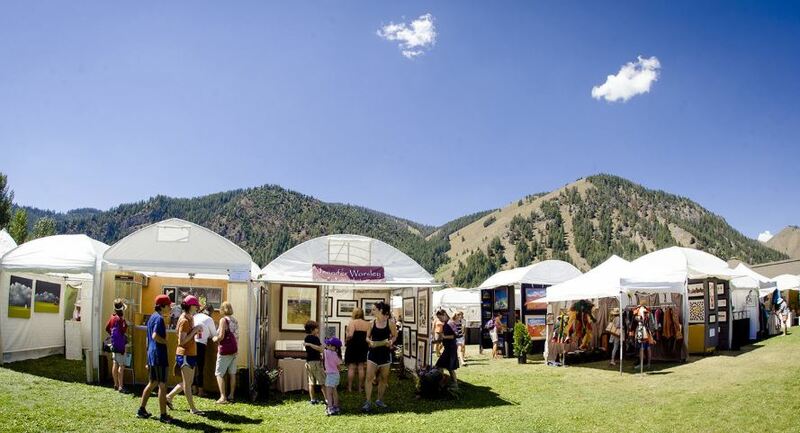 KETCHUM — The dates have been set for Sun Valley Center for the Arts’ 50th Arts & Crafts Festival — a cultural highlight of the Wood River Valley’s summer season. This free event will take place Aug. 10–12 on the lawns of Atkinson Park in Ketchum. Festival hours 10 a.m. to 6 p.m. on Friday, Aug. 10. 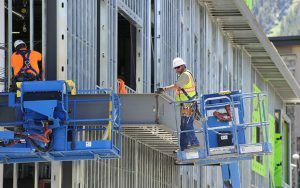 Weekend hours are 10 a.m. to 5 p.m. The Center uses a rigorous jury process to select artists and craftspeople to exhibit work at the Arts & Crafts Festival. According to the Art Fair SourceBook, a comprehensive guide to the top-selling art fairs and craft shows around the country, the event is ranked in the top 100 fine art festivals in the U.S.
Each year, the three-day outdoor fine arts show gives Wood River Valley residents and visitors the opportunity to interact directly with artists and learn what’s new in the world of arts and crafts. In addition to the exhibition, the festival includes artist demonstrations, food vendors and a free kids’ craft area. Sun Valley in Idaho offers just about everything an outdoor enthusiast might dream of doing in one location. Skiers and snowboarders relish its more than 2,000 skiable acres and 40 kilometers of cross-country tracks. But don’t discount its warm-weather outdoor activities, as droves of people come here for hiking, mountain biking, golf, fishing, shooting and horseback riding, as the summer season has surpassed the winter season as the busiest time of year at the resort. And that’s just the beginning. A resort for all seasons. Indeed, Sun Valley is a year-round destination that benefits from a high mountain desert climate, low humidity and sunny skies for 80 percent of the year. The average daily high temperature during its coldest season, between mid-November and late February, is a comfortable 32°F, while the average temperature during the summer months is an enviable 81°F.